500 species described and illustrated. Over a three year period Jane Scott has been collecting native plants in the Margaret River- Augusta area for the Regional Herbarium Project, an initiative of the Western Australian Herbarium. Patricia Negus painted these specimens in meticulous detail in watercolour, after which Jane pressed, lodged, identified and described each plant. The result is this remarkable book that is both a work of art and detailed botanical reference. Most of the plants in this volume grow throughout the south-west corner of Western Australia. 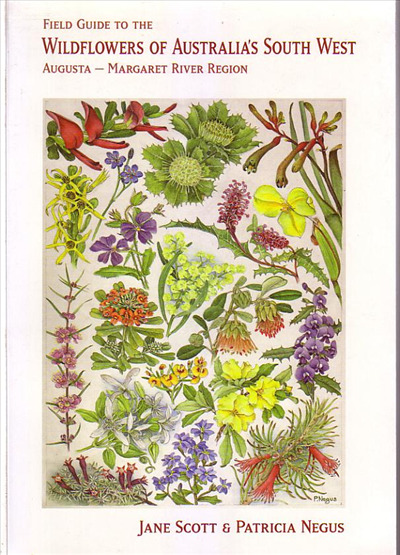 This Field Guide will be a valuable edition to the reference library of anyone wanting to learn more about Western Australia's fascinating flora.